Краткое описание: King Triton and his daughter Ariel battle the dangers of the deep to save the kingdom. 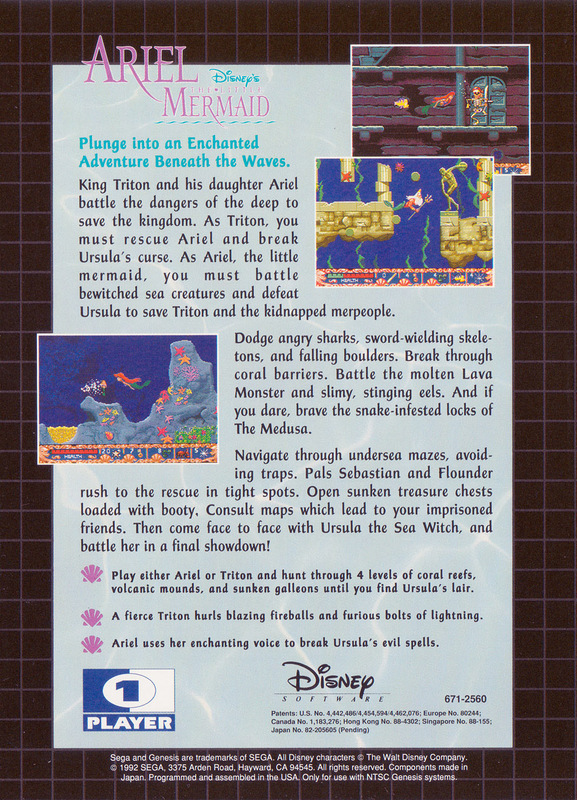 As Triton, you must rescue Ariel and break Ursula's curse. 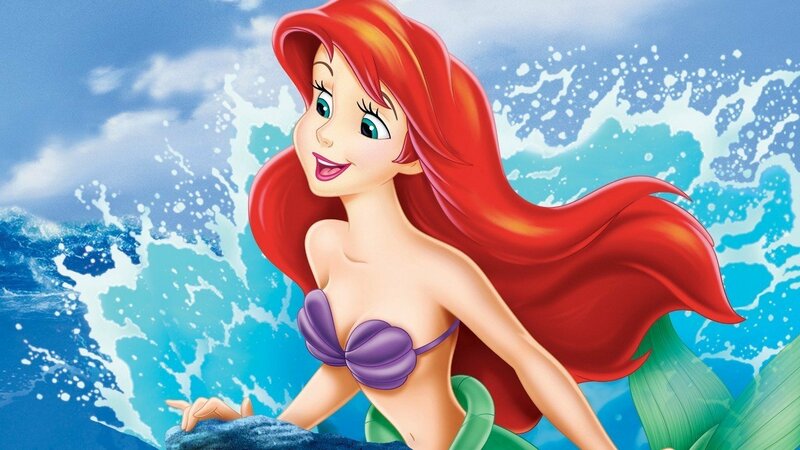 As Ariel, the little mermaid, you must battle bewitched sea creatures and defeat Ursula to save Triton and the kidnapped merpeople. Dodge angry sharks, sword-wielding skeletons, and falling boulders. Battle the Molten Lava monster and slimy, stinging eels. And if you dare, brave the snake-infested locks of The Medusa. Navigate through undersea mazes, avoiding traps. Pals Sebastian and Flounder rush to the rescue in tight spots. Open sunken treasure chests loaded with booty. Consult maps which lead to your imprisoned friends. Then come face to face with Ursula the Sea Witch, and battle her in a final showdown! 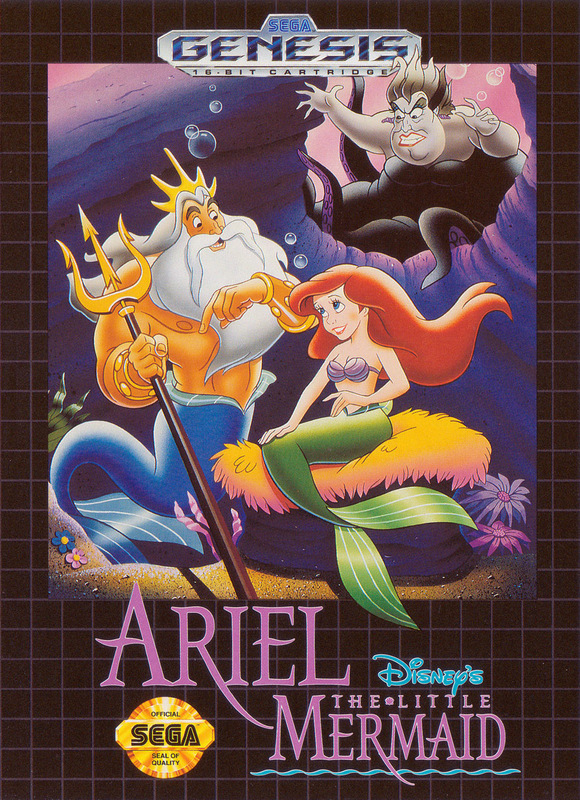 King Triton and his daughter Ariel battle the dangers of the deep to save the kingdom. As Triton, you must rescue Ariel and break Ursula's curse. 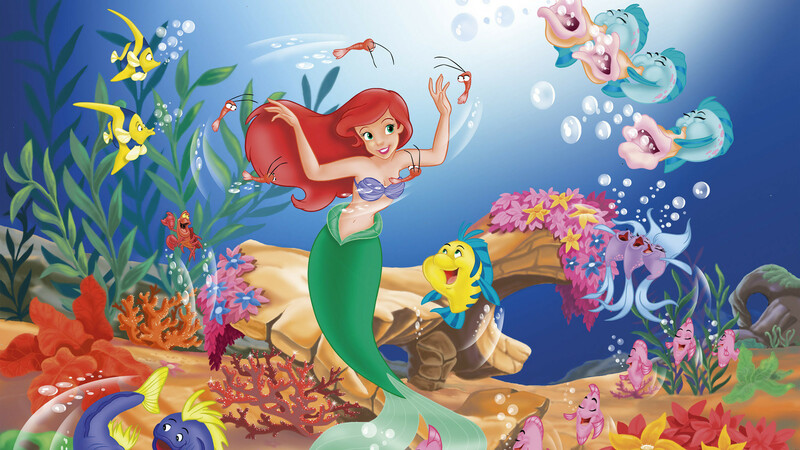 As Ariel, the little mermaid, you must battle bewitched sea creatures and defeat Ursula to save Triton and the kidnapped merpeople. Dodge angry sharks, sword-wielding skeletons, and falling boulders. Battle the Molten Lava monster and slimy, stinging eels. And if you dare, brave the snake-infested locks of The Medusa. Navigate through undersea mazes, avoiding traps. Pals Sebastian and Flounder rush to the rescue in tight spots. Open sunken treasure chests loaded with booty. Consult maps which lead to your imprisoned friends. Then come face to face with Ursula the Sea Witch, and battle her in a final showdown!